Theme: How can expertise from the Norwegian offshore oil and gas industry enable Norway to become a global leader in offshore renewable energy? How will the green transition from oil and gas towards renewable offshore energy unfold and what role do we foresee for oil and gas in the future energy mix? Ajay Mathur is Director General of TERI – The Energy & Resources Institute, and a member of the Prime Minister’s Council on Climate Change. He was Director General of the Bureau of Energy Efficiency in the Government of India from 2006 till February, 2016, and responsible for bringing energy efficiency into our homes, offices, and factories, through initiatives such as the star labelling programme for appliances, the Energy Conservation Building Code, and the Perform, Achieve and Trade programme for energy-intensive industries. Dr. Mathur was earlier with TERI from 1986 to 2000, and then headed the Climate Change Team of World Bank in Washington DC. He was President of Suzlon Energy Limited, also headed the interim Secretariat of the Green Climate Fund. He has been a key Indian climate-change negotiator, and was also the Indian spokesperson at the 2015 climate negotiations at Paris. He is a global leader on technological approaches to address climate change; recently, he joined the global group of industrial, financial and think-tank leaders to co-chair an Energy Transitions Commission which will suggest ways for companies and countries to move towards climate-friendly energy futures. Hans Jørgen Koch has been the CEO of Nordic Energy Research, Nordic Council of Ministers, Oslo, Norway since 2014. Between 1982 and 2014 he was Director General, Deputy Permanent Secretary of State, in the Ministries responsible for energy issues in Denmark. He took leave from this position in 1994-2002, after his appointment to OECD-Director. He was then responsible for Energy Efficiency, Renewable energy and for Research, Development and Deployment in The International Energy Agency of OECD in Paris (IEA/OECD).For 30 years he was a member of The Governing Board of the International Energy Agency and one of the EU’s High-Level-Group of Director Generals on Energy. He has been Chairman of IEA’s Committee on Renewable Energy (IEA/REWP) (2010-14) and IEA’s Committee on Research and Technology (IEA/CERT) (1990-1994). Earlier, he had been Governor of the International Atomic Energy Agency in Vienna (IAEA) (1983-94). He was Chairman of the Energy Committee of the Nordic Council of Ministers and acting minister several times between 1982 and 2013. Eirik Wærness has broad experience with research and management from government, academia and private sector companies. He is currently serving as Senior Vice President, Macroeconomics and Market Analysis, Chief Economist and head of strategy in Mid- and Downstream at Equinor, one of the world’s largest oil and gas companies (previously Statoil). Wærness is a non-executive member of the Innovation Norway board and member of the Global Commission to Examine Geopolitics of Energy Transformation. Experience includes different positions in the Norwegian Ministry of Finance, Total E&P Norway, Econ Centre for economic analysis/Pöyry Management Consulting, in addition to his current position at Equinor. From July 2016 until February 2018, he served as non-executive member of the Board of The Financial Supervisory Authority of Norway (Finanstilsynet), and from 2010-2013 he was a Government-appointed member of the Executive Board of the Central Bank of Norway (Norges Bank). Anne-Grete Ellingsen is the CEO of Global Centre of Expertise – Norwegian Offshore Drilling and Engineering (GCE NODE). She has a MSc degree in Petroleum Technology and an Executive Master in Energy Management. Ellingsen has experience from several executive positions in the energy sector with companies such as like Petroleum Safety Authority Norway (Ptil), Elf Aquitaine (now part of Total), Statoil, Agder Energi and Vestavind Offshore. Her experience covers both offshore oil & gas and wind in addition to onshore wind and hydropower, with projects and operations both in Norway and internationally. Ellingsen has been Secretary General of the World Petroleum Congress and Deputy Minister at the Norwegian Ministry of Oil and Petroleum. She has broad board experience from several publicly listed companies as well as non-listed companies. Anita Pratap is an award-winning international journalist, author and documentary filmmaker, having worked in Asia, Middle East, Europe and the United States. She was CNN’s South Asia Bureau Chief; worked for Time Magazine and leading Indian media. She is a speaker at global conferences organized by the UN, Governments, conglomerates, universities and think tanks on war, terrorism, media, politics, inequality, diversity, women, environment and democracy. An instant bestseller, her book “Island of Blood” released by Penguin sold out in six days, creating publishing history. Her book “Unsung” was course material for a leadership course in IIM Bangalore. She received many awards, including the coveted American George Polk Award for her coverage in CNN of Kabul’s takeover by the Taliban. She won the Chameli Devi Jain Award for her “sensitive portrayal of the human condition”. She is Contributing Editor for “The Week” Magazine and an Advisory Board member of the Switzerland-based Women’s International Network as well as the Vienna-headquartered Women Without Borders. Summary: This new report in the World Energy Outlook series provides a detailed assessment of the outlook for offshore energy against a dynamic backdrop of energy market, policy, technology and environmental considerations. 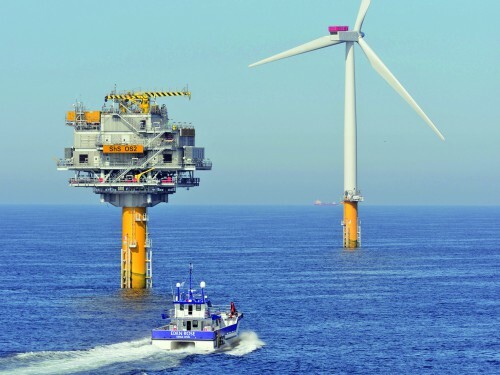 Energy produced offshore is a major component of global oil and natural gas supply and could provide an increasingly important source of renewable electricity. While offshore oil production has been relatively stable since 2000, natural gas output from offshore fields has risen by more than 50% over the same period. Offshore electricity generation, mainly from wind, has increased rapidly in recent years, notably in the relatively shallow coastal waters of Europe’s North Sea. Offshore wind is a rising force, but remains for the moment a relatively marginal one at 0.2% of global electricity generation; wind and other marine technologies face stiff competition from a range of onshore options, including other low-carbon sources of generation. Food waste – from trash to treasure?